The Mirror Stamping Plate is a smooth 4" X 5-1/4" surface made from the finest photopolymer in the USA. The surface allows for stamping images in reverse to create a mirror impression. Perfect for spinner cards, reflections, and facing images, the package includes instructions and tips. Be sure to check out the video below for more information and ideas. 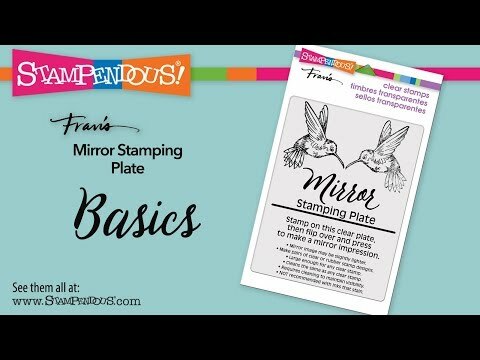 Mirror Stamping Plate was added to your cart.